Frame is made of Round & RectangularTube. The body section is mounted on 2 legs Round Tube Stable Base. 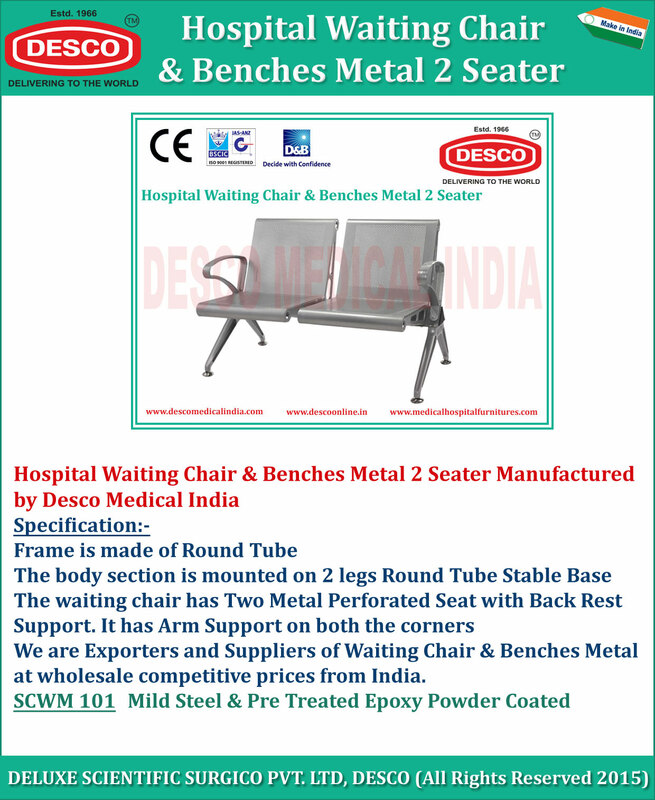 The waiting chair has Metal Perforated Seat with Back Rest Support. It has Arm Support on both the corners.